Why use our website to find a mover in Mississauga? Using our platform allows you to get 5 free moving quotes from movers in Mississauga in less than 48 hours. You can select the moving company that suits your needs by comparing their rates, services, experience, and reputation. How much do movers in Mississauga cost? Are they cheap, regular, or expensive movers? 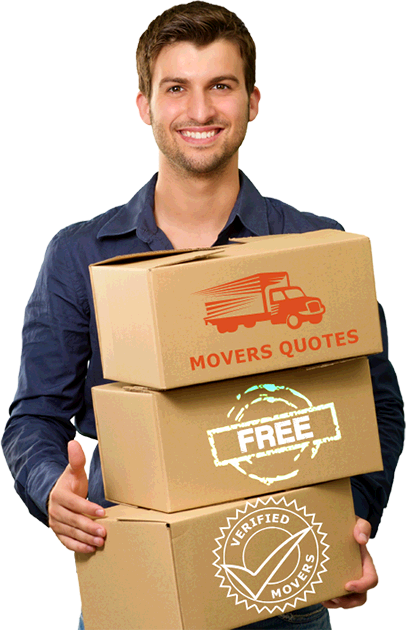 What kind of moving services are offered by moving partners of 5 Movers Quotes in Mississauga? Families have been moving to or from Mississauga to the GTA for decades. Many individuals want to relocate a bit farther from Toronto where housing costs are lower and enjoy a more suburban living. 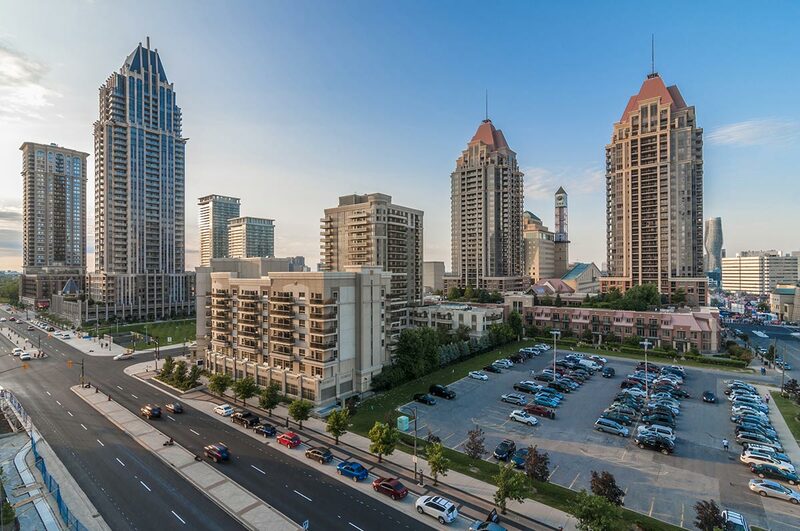 Mississauga, situated in Southern Ontario, is a Toronto suburb but has rapidly developed into one of Canada’s biggest cities. Today, it is fondly called the Gateway to Canada, with Pearson International Airport located there. Recently, the influx of many Canadian immigrants in the city has contributed to a significantly diverse population of over 729,000. Anyone planning a relocation to Mississauga will need to consider the best relocation method. The first step you need to do is to obtain accurate moving estimates from reputable moving companies. This allows you to check on their moving prices, level and quality of service, experience, and most importantly, reliability. Our moving partners in the Greater Toronto Area delivers moving services in Mississauga and throughout Ontario. Request for free moving quotes to plan your move and find the best moving company to transfer your household goods. Don’t get over the phone quotes – you’ll only find yourself bewildered with verbal quotes that keep changing. Take 2 minutes to fill-out a simple and quick online form to receive competitive quotes from licensed, insured, and reliable moving companies. Many people find themselves living in Mississauga but working in Toronto. It is just half an hour away via the Gardiner Expressway. If you’ve decided to relocate to Mississauga to escape the horrendous housing costs in Toronto, you can move to the burbs with help from Toronto moving companies. Many Toronto movers service the entire Greater Toronto Area and can easily relocate you and your family to new your destination. Take advantage of cheap packing services, moving truck with movers, or a complete moving service where you don’t need to lift a finger. Find more moving advice, tips about living in Mississauga, and reviews of Mississauga movers for a stress-free move. Depending on where your current location is, you have the option to hire Toronto movers or Mississauga movers for your relocation. These moving companies make regular runs to both locations due to high demand for moving services. As the distance is a mere 28 kilometers, reputable and experienced movers may offer low hourly rates for moving truck with movers. They may also offer a flat rate, depending on the moving services you choose such as packing services, piano moving, or the weight of your inventory. Moving company services are designed to help you transition from one residence to another with as little effort as possible. You can request movers to do the disassembly and assembly of furniture, partial or complete packing, loading and unloading, and door- to-door transport. If you think moving services from professional movers are too expensive, you haven’t met our partner movers. Moving companies in our network offer very flexible moving options that suit any type of budget. From discounted student moves, special senior moving rates, packing only, loading only, or truck with movers only, you can find the perfect moving solution for your situation. In fact, hiring a good moving company with low hourly rates can cost just the same as hiring a U-Haul truck but without the hard work. From partial DIY moving services to turn-key and stress-free relocation services, you can find the movers that suit you best with our free moving quotes. You could be paying thousands to move from one Canadian city to Mississauga. Of course you expect to get good value for your money and avoid all the headaches associated with moving. This means your choice of moving company is critical. There are so many movers advertising on Kijiji and the internet that may not be exactly a professional mover. So many people have fallen victims to unscrupulous movers that hold household belongings hostage or jack up moving costs after loading to the truck. For more information on how you can protect yourself from undesirable movers, you can follow the Consumer Checklist for Choosing a Moving Company. It can be overwhelming to choose a moving company. They will all seem nice to you at first but you can base your choice on critical factors like experience, reputation, services, price, and quality. This Toronto moving company serves Mississauga, Brampton, Halton Hills, and the rest of the Greater Toronto Area. For moving within Canada or moving abroad, this moving company is a one-stop shop for all kinds of moving services including packing and unpacking. It has received the Consumer Choice Award for Moving company and is now one of the most successful moving companies in Canada. This moving company has been trusted movers in Mississauga since 1991. Offering a wide range of moving services in the GTA, it can relocate you from Toronto to Mississauga or from Mississauga to anywhere in Canada. For off-season rates, this company offers low rates staring from $65 per hour to $95 per hour, depending on the number of movers required. They also require a 3-hour minimum charge for all moves, including travel time. This is one of the leading removal company in the country. It provides a wide array of moving services for moving from condo, apartment, home, or warehouse. It offers complete moving services, packing services, pool table or piano moving, local or long distance moving, and garbage removal services. It serves all GTA locations for relocation needs. This Toronto and GTA moving company provides relocation to Mississauga at very transparent rates. It began operations as movers in 2002 and is based in North York offering the lowest costs in moving services that start at $60 per hour for a truck and 2 movers. They have a minimum charge of 2 hours. This moving company can also perform any move across North America for household or commercial moving. This professional Mississauga moving company makes relocation easy. Since 2000, it has been providing local and long distance moving services in the entire GTA. It specializes in household moving, office moving, senior moving, senior relocation, and specialty hauling. It has won 2 awards for Service Quality and offers free moving insurance. This premiere moving company in Mississauga has over 20 years of industry experience in the GTA. As a family-owned and operated company, it strives to provide personalized attention to customers for total satisfaction. It has excellent relocation and storage capabilities for relocation needs anywhere in Southern Ontario. This 24/7 moving company provides all kinds of moving services in Mississauga, Brampton, Oakville, Milton, and Toronto. It specializes in household moving, office moving, piano moving, student discounted moving, and loading and unloading. They also accept last minute moves. Whether you have a small or big budget, this moving company is sure to have the moving service that suits your needs. These are but some of the moving companies operating in Mississauga and offering reasonable moving rates. The best way to connect with moving companies in your area is to obtain free moving quotes with our quick online form. These quotes are no obligation which means you have complete freedom of choice in your moving company. In just 2 minutes, you can provide us with essential details so we can scout for the best mover qualified to handle your relocation. No more guesswork that could mislead you into making wrong choices for your move. All our moving partners are licensed, insured, and experienced in residential, commercial, local and long distance moving. Fill-out our short online form today with your moving details and receive 5 lowest bids from moving companies near you.